In my post, "'Big Year' Birders Count More Than Four & Twenty Blackbirds," I talked about the famous birders of our day. I researched some of the greats like the "legendary human bird-dog" Sandy Komito, and learned of his bird-watching prowess and how many of his techniques became 'best practices' for birders the world over. 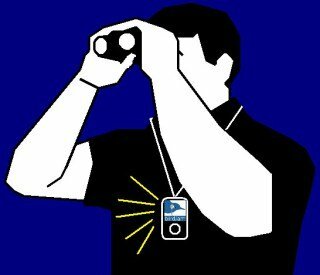 However, in today's world, birders are beginning to look to technology to enhance their birding experience. Bird watching is perhaps one of mankind's oldest pastimes. After all, you don't need anything special to find them except for a good pair of binocular and a notepad, right? Well, there's a growing number who might disagree. The booming world of competitive birding - once viewed as a respite from the chatter of the maddening crowds is debating how much a true-birder should embrace technology. Long proud of its honor system based on eyeball sightings and pen-and-paper checklists, even cameras have been considered verboten in some camps. Others feel smartphones and digital cameras are not an encroachment at all - but rather the necessary tools for the modernists. These are the next-gen birders who feel it's important to push the envelope on 'old school' bird-watching and who are looking to track digitally previously unobtainable data about certain rare birds and their changing habitats and migrations. The next-gen are tech-savvy souls who are utilizing high-definition radar, social media alerts and smartphone apps to provide them with more in-depth and current information about birds in the wild. This week's activity has been especially triggered with heightened activity by birders from Maine to California, as millions of migratory birds return from their winter respites in South America to their summer feeding grounds in the United State and Canada. Folks on Pinterest are posting and pinning up a storm after capturing images of their rarest finds. And since this week is known in the birding world as the “biggest week for American birding,” activities during this time period even have their own twitter hashtag: #biggestweek. 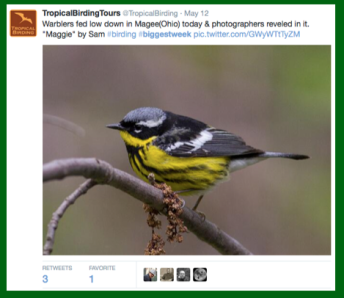 This has prompted birding groups like @TropicalBirdingTours to tweet about just how ecstatic some birders can get when they spot "warblers" in Magee, Ohio. eBird offers innovative online tools for birders to keep track of their own lists while contributing their bird sightings for use in science and conservation. Birders, scientists, and conservationists can collect, manage, and store their observations in eBird’s globally accessible database—or use graphing, mapping, and analysis tools to better understand the migratory patterns of bird occurrences and the environmental and human factors that influence birds in their habitats. This real-time data resource produces millions of observations per year across the hemisphere. 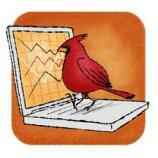 As a reputable resource, eBird is a joint project of the Cornell Lab of Ornithology and National Audubon Society. Whether you are a die-hard purest, or a member of the new breed -- today, the love of birds appears to be appreciated in a number of ways. So, if technology is your preferred way to get up front, close and personal - then have it. And if the honor list allows you to hold on to the traditions of the past you cherish, then by all means, continue down that path.